The average American consumes 20 lbs. of pasta annually. 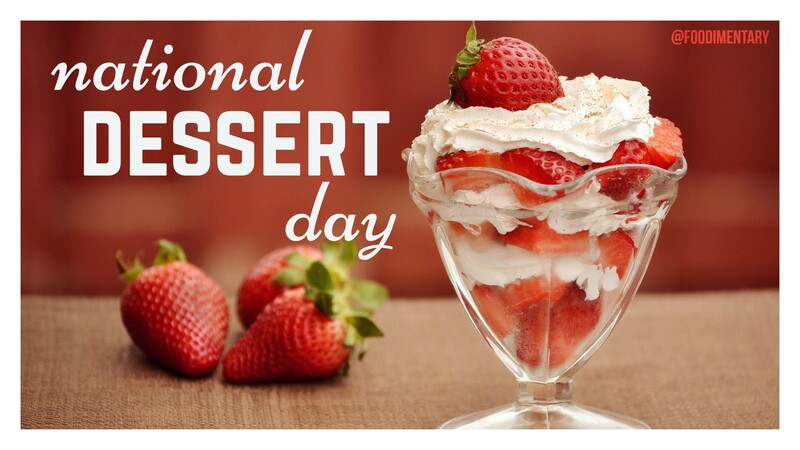 This makes it the 6th highest food per capita in the country. As of March 2012, the average price an American pays for pasta is $1.45 per pound! This makes it one of the most affordable meals. 24% of the global consumption of pasta is by Americans – the largest of any country in the world. Americans consume 6 billion pounds of pasta each year. 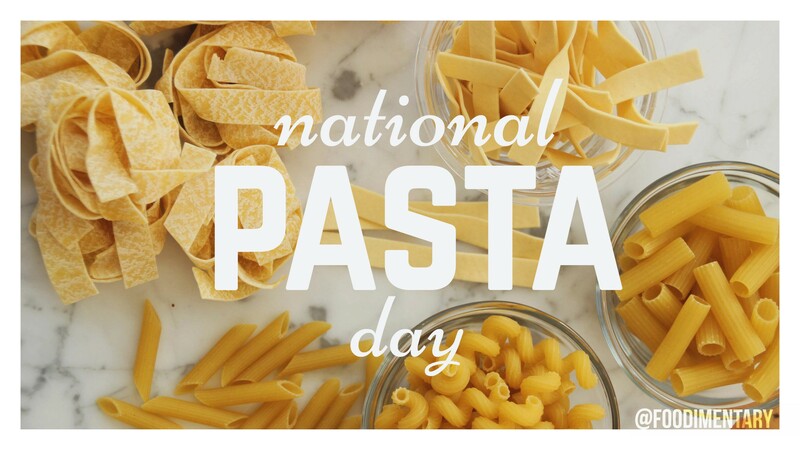 The United States produces 4.4 billion pounds of pasta annually, making it the second largest pasta-producing nation. Pasta made its way to the New World through the English, who discovered it while touring Italy. Colonists brought to America the English practice of cooking noodles at least one half hour, then smothering them with cream sauce and cheese. 1946 Jim Tucker of the music group ‘The Turtles’ was born. 1977 The Guinness Book of World Records notes that Peter Dowdeswell managed to eat 40 sandwiches in 17 minutes, 53.9 seconds at a California donut shop on October 17, 1977. Each sandwich was 6 X 3 inches, spread with jam and butter. Hunger kills more people every year than malaria, tuberculosis, and AIDS combined. About one billion people in developing countries live in extreme poverty. Seventy-eight percent of them live in rural areas, where agriculture is the main driving force of the rural economy and, in some cases, of the whole economy. 60% of the hungry in the world are women. Almost 5 million children under the age of 5 die of malnutrition-related causes every year. If you want to read more about the Think.Eat.Save food waste campaign, follow this link and get involved! 1829 The Tremont Hotel opened in Boston. It was the first modern hotel in the U.S. Rooms were $2 per day with meals included. 1939 ‘The Man Who Came to Dinner’ opened on Broadway. 1945 World Food Day. 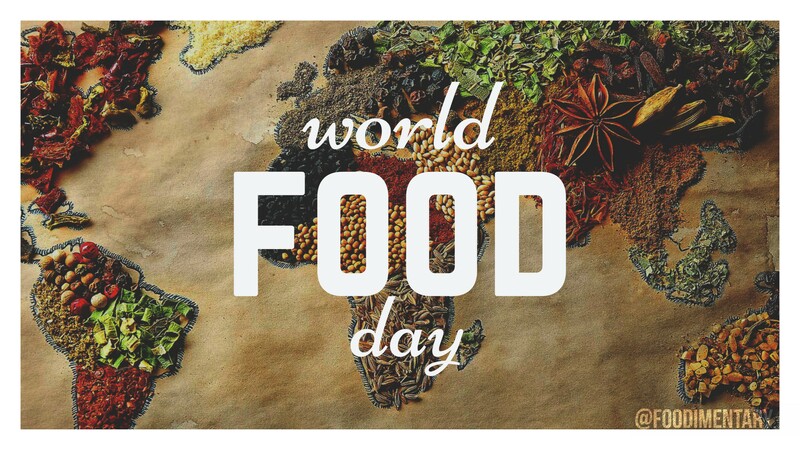 The founding day of the U.N. Food and Agriculture Organization. 1986 The largest northern pike weighed over 55 pounds and was caught in Germany. The top three imported wines sold in the U.S. are Yellowtail (Australia), Cavit (Italy), and Concha y Toro (Chile). The term bouquet refers to the total scent of the wine. Aroma is the scent of the grapes. When wine tasters want to describe the bouquet and the aroma together, they use the term nose. 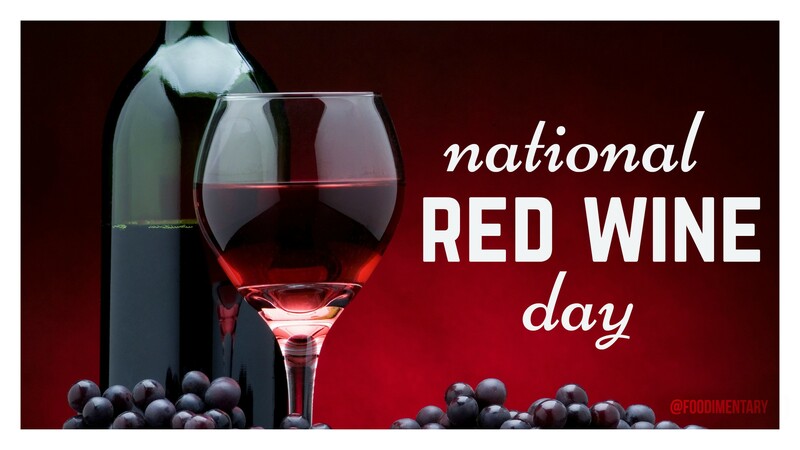 In 2008, the top five wine-producing states in the U.S. were California (3.4 million tons of grapes crushed for wine), Washington (145,000 tons), New York (45,000 tons), Oregon (40,000 tons), and Pennsylvania (13,200 tons). According to the U.S. Dietary Guidelines, there are 100 calories in a 5-ounce glass of wine (compared to 150 calories in a 12-ounce beer). The ancient Greeks had a wine glass to ensure the drinker’s moderation. If wine was poured above a certain level, the cup spilled its entire contents out of the bottom. 1944 Don Stevenson of the music group ‘Moby Grape’ was born. 1959 Emeril Lagasse was born in Fall River, Massachusetts. TV cook and actor. 1988 ‘Red Red Wine’ by UB40 hits number 1 on the charts. 1990 Killer bees reach the U.S. in the city of Hidalgo in southern Texas. 1996 Pierre Franey died. A French chef who became famous as the chef of ‘Le Pavillon’ restaurant in New York City from 1945 to 1960. He published several cookbooks and collaborated with Craig Claiborne on the New York Times food column, ‘The 60 Minute Gourmet’. 2002 Konrad (Emil) Bloch died. Nobel prize winner for his work on cholesterol and fatty acids. He discovered that high levels of cholesterol may lead ultimately to increased risk of heart attacks. 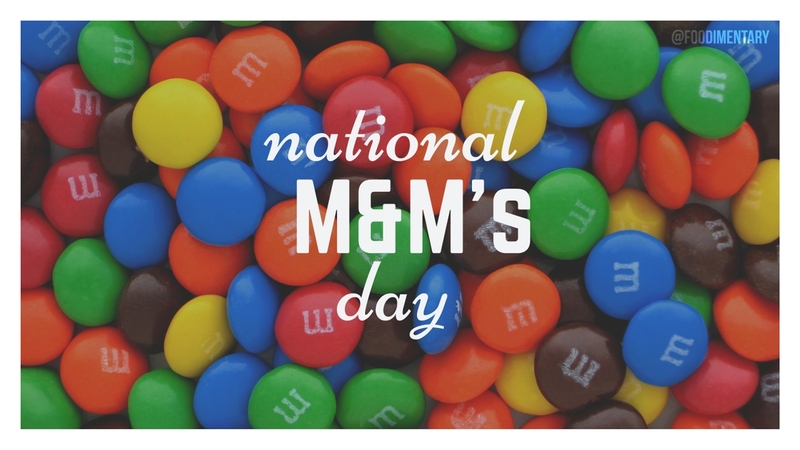 October 13th is National M&M’s Day! Blue M&Ms were introduced in 1995. M&Ms were taken along on the first space shuttle voyage in 1982. There are 340 million M&M’s produced daily. The “M&M” was modeled after a candy Forrest Mars, Sr. encountered while in Spain during the 1930s. During the Spanish civil war there, he observed soldiers eating chocolate pellets with a hard shell of tempered chocolate. This prevented the candies from melting, which was essential when included in soldiers rations as they were. St. Colman’s Day, patron of cattle and horses. 54 A.D. Tiberius Claudius Drusus Nero Germanicus, Emperor of Rome A.D. 41-54, died by poisoning. Known as Claudius I, supposedly he was poisoned with mushrooms by his wife Agrippina, after her son Nero was named as his heir. 2006 Six Flags theme park in Gurnee, Illinois holds a live cockroach eating contest. 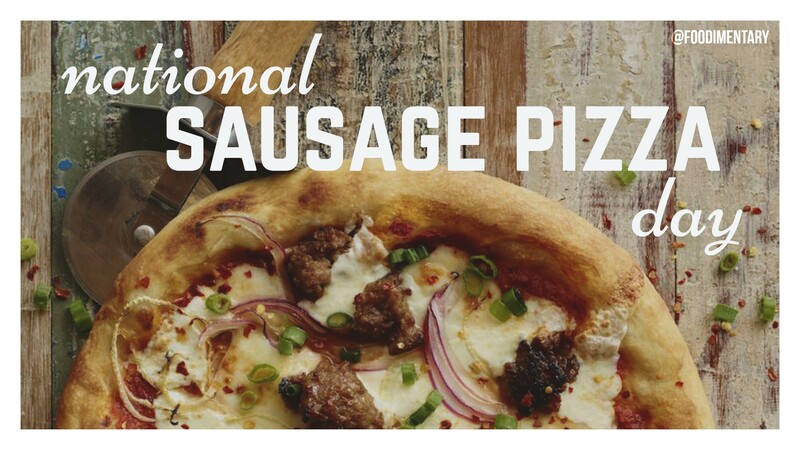 About 93% of Americans eat at least one pizza every month. About 350 slices of pizza are consumed every second in the United States. The most pizzas are delivered (and eaten) on Super Bowl Sunday, New Year’s Eve, Halloween, Thanksgiving Eve, and Super Bowl Sunday. The three dots in the Domino’s Pizza logo represent the first three Domino’s Pizza stores. Anchovies are one of the LEAST popular pizza toppings in the United States. 1887 The first accurate adding machine patented by Don Eugene Felt. (The Comptometer). 1911 Nathaniel Wyeth was born. Nathaniel Wyeth, American chemist and inventor, received patent for PET (polyethylene terephthalate) beverage bottles. This was the first safe plastic strong enough to hold carbonated beverages.